Shout "wooooo!" To be the man, you've got to pick up the man. 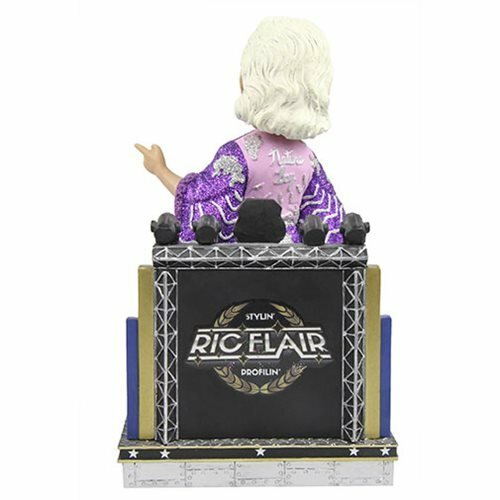 Give the Nature Boy bobblehead a place to call home before he goes off on his Stylin' profilin' limousine riding, jet flying, kiss-stealing, wheelin' n' dealin' ways again. You'll be shouting Wooo! 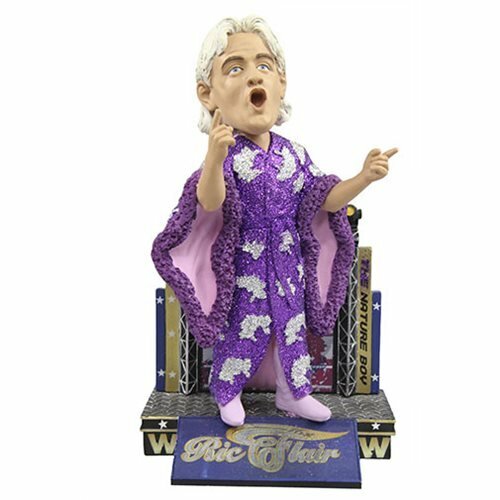 Everytime The Nature Boy bobbles his head. The resin bobblehead stands about 8-inches tall.